BELLINGHAM — More than 75 animals were rescued from a burning pet-supply store in Bellingham, but some birds and a python remain missing. 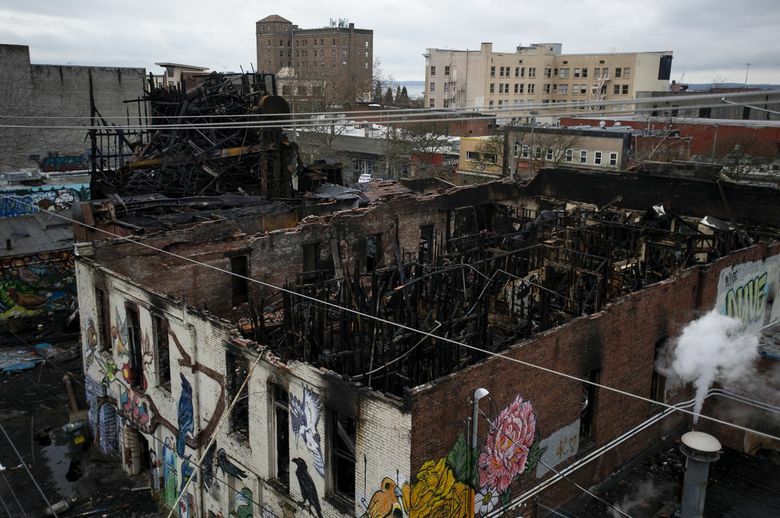 The Bellingham Herald reports the Whatcom Humane Society is caring for 78 animals that were rescued as Hohl Feed & Seed burned early Monday in downtown Bellingham. Whatcom Humane Society Executive Director Laura Clark says the animal shelter received rabbits, hamsters, gerbils, mice, domestic rats, birds and a tarantula. They are not available for adoption. Fire crews responded to the fire at 4:20 a.m. Monday. Crews managed to save some of the animals from the store, which was destroyed by the fire.